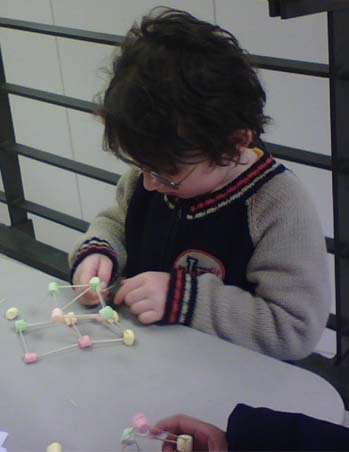 A very young student explores mathematical concepts by constructing polyhedra out of marshmallows and toothpicks. 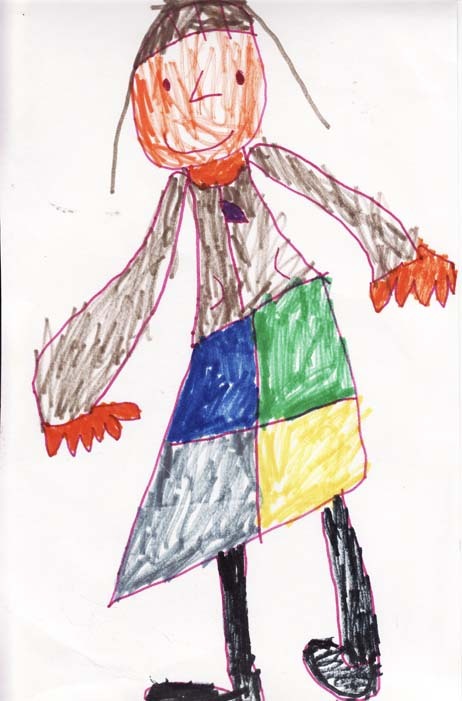 It was created as a thank you drawing by a kindergartener at Northeast Elementary School in Ithaca, NY. This is a mathematics monster created by one of my mentorees. 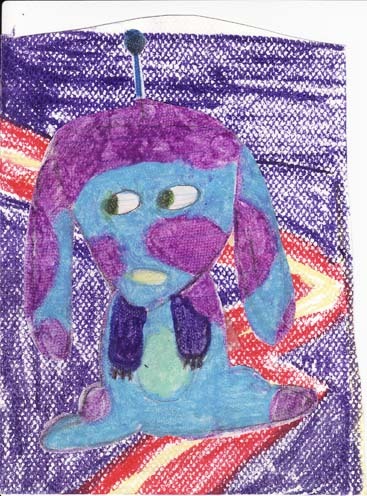 She was working on "Monster Math" and she created a rather cute monster.